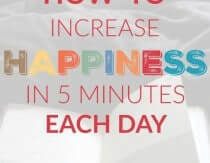 Heather Dessinger 128 Comments This post contains affiliate links. What do chickens that cross the road and stinky armpits have in common? They’re both illegal, of course! Not, everywhere, but in Quitman and San Luis Obispo Counties, respectively. (source) And it’s not just armpits – offensive body odor of any kind is outlawed in San Luis Obispo County libraries. Yes, libraries. Some things though are perfectly legal, though, like putting questionable chemicals in personal care products without always disclosing them. (source) In a previous post I shared five ingredients to look out for in deodorant – including one that has already been banned in one state – along with alternatives like this man-stink killer deodorant recipe, sensitive skin recipe and my fave pre-made deodorant. However, several of you have asked about how to make deodorant that doesn’t need to be applied with your fingertips, so I thought I’d share one of my favorite recipes! 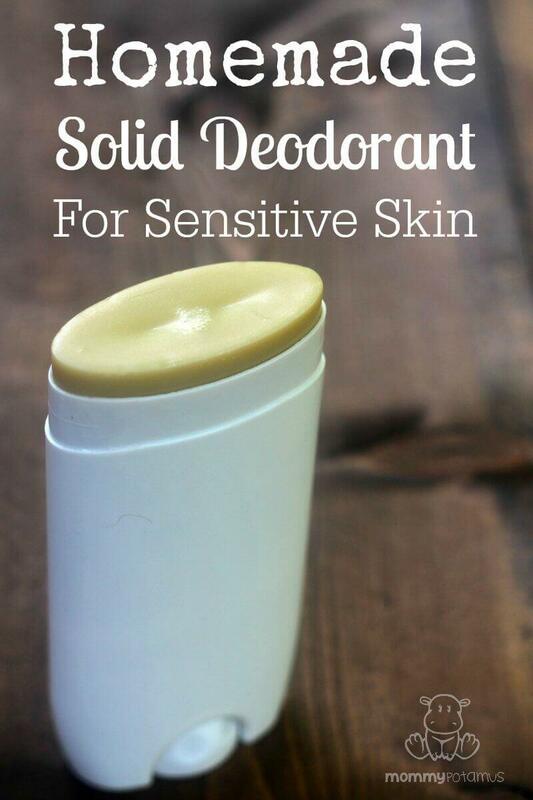 Instead of baking soda, this solid deodorant recipe relies on kaolin clay and magnesium to keep you smelling fresh. If you have sensitive skin – or even if you don’t – I hope you love it as much as I do! Rich in skin soothing vitamin E, raw shea butter is a non-oily moisturizer that absorbs quickly when applied – super important if you are getting dressed in a hurry! Known formally as Theobroma cacao (Food of the Gods), cocoa butter is rich in Vitamin E and minerals such as manganese, calcium, iron and zinc. It improves the “glide” of your solid deodorant while nourishing skin. Each of these compounds help neutralize odor. They’re much more gentle than baking soda, which some people find irritating. In addition to blocking odor, magnesium is an essential co-factor for over 300 enzyme driven reactions in the human body. When applied alone it can sting a little, which is why I prefer to incorporate it in this formula. Provides a barrier of protection while still allowing skin to breathe. Also, it’s what keeps the deodorant bar solid. However if your skin is very sensitive, you might want to skip essential oils or stick to ones that are considered very soothing, like lavender. 1. Melt all ingredients (except essential oils) in a double boiler over low heat. 2. Allow the mixture to cool for one to two minutes – it will separate if it is added to the deodorant tube while still very hot. While it is still liquid, add essential oils and pour into deodorant tube. Store out of direct sunlight. Apply a thin layer – not much is needed! After you’ve poured your deodorant in your container, place your pot back in the double boiler so that the thin layer of remaining deodorant heats up. When it’s hot, wipe it out with old newspaper or paper towels. Hello! Thanks for your recipe. Can I use magnesium sulphate (epsom salt) instead of magnesium chloride? Can I skip the magnesium of the ingredients? I haven’t tested it with sulphate so I can’t say for sure. If you try it please let us know how it works! I followed your recipe but used Epsom Salts instead of the magnesium chloride and it worked great. Thankyou for your wonderful ideas. hey Sarah, did the Epsom Salts melted completely in the recipe? I used epsom salts and i’m seeing little white lumps in the melt…whisking doesn’t seem to be making it dissolve…anyone? can i put it in the blender? you should not sub magnesium sulphate for magnesium chloride, you will not get the same benefits…also magnesium chloride is water soluble, and is not oil soluble. I will try this recipe again with magnesium oil to see if I can get it to work out(may need a surfactant) otherwise making a magnesium cream deodorant is in my future. How long does it last fter you make it? I just made a batch of this, and it seems like the magnesium didn’t dissolve, making the deodorant gritty… did you have this happen? What can I do to fix that? I also had the magnesium remain at the bottom of my pan…didn’t incorporate at all. I used Magnesium Citrate Pure Powder in a similar deodorant. Didn’t have any problems with it incorporating. Hope this helps. i used epsom salt and crushed it with a mortar and pestle. worked good for me. I would say maybe not heated enough to dissolve good. I agree re: the heat because I used epsom salts and it dissolved. I found that removing from the double boiler, while stirring, let sit on the counter about 2 minutes while stirring, then put back into double boiler helped with dissolving. How many sticks does this recipe make? If I want to make 8, do I need to adjust the ingredients accordingly ? 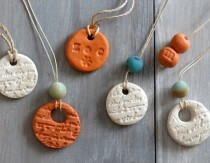 Next Time I make this I will use magnesium oil instead of powder and maybe up the clay so it won’t come out watery. do you still sweat ? Hi, I make healthy snacks and treats and have been getting ready to add healthy soaps and body products……So on your deodorant recipe, just wondering how I could substitue and leave out the shea butter. It kinda scares me as it goes grainy if it isn’t just right, even later on. Would it work to use coconut oil in its place, and maybe add more cocoa butter? I have diatomaceous earth, also arrowroot if needed….I am still getting mag chloride. What do you know about stearic acid in deodorant? I know it helps things set up, and if its extracted right…..its what is in cocoa butter, shea butter that helps them be more solid….so would it work to put in about 5-6% by weight to make a more solid deodorant bar if you didn’t use shea butter? Is it good? Ok? Bad? Sorry for all the unorganized questions….just reaching, hoping someone can help me here. Have you tried to use Mango butter ? Hello! I just discovered your wonderful site. I don’t know exactly where to ask, but in this recipe can I possibly add activated charcoal or substitute it for the clays? How would I incorporate the charcoal and how much should I try to add? Thank you in advance. Hi there! I DEF would not suggest charcoal since it will stain your clothes and armpit! You could use diatamaceous earth (D.E.) baking soda, arrowroot (can’t remember if this is IN the recipe or not sorry lol), possibly instead of the clays. Baking soda alone usually doesn’t do much for odor & same with arrowroot. It’s when you start combining all these great ingredients plus then the boost of the clays &/or D.E. that you really notice a difference. If you don’t have D.E. or bentonite clay I highly suggest grabbing some on Amazon. They’re sold by the POUND (also more or less, whatever you want) but a pound can be as low as $10. They are worth their weight in gold for internal use, external, beauty, household care… the list goes on and on and it is worth investing in! Hi 🙂 Actually, i made a similar recipe on the weekend as a “summer” deodorant.. it worked awesome. in the winter, I use a formula with shea, coconut, sunflower oil, glycerin, baking soda, koalin clay, a bunch of essential oils, arrowroot powder, etc… I don’t find this effective in the summer at all. I made a recipe using all these ingredients in addition to a small quantity of activated charcoal and magnesium oil and beeswax. holy moly…. i don’t think i can go back to my ‘other’ formula. I’m dry. all day in 30C heat. DRY. and I don’t smell. i only applied once and a very thin layer. the trick is to use a very VERY small amount of charcoal so your deodorant is light grey. so.. half a tsp to start. Michelle, that awesome. Would mind posting your recipe. Thanks! Michelle, I would love your recipe. Would you please post? I’ve tried making a natural deodorant with Epsom salt but even when I blend it first to make it less course, the bottom of the deodorant is very grainy and stings when applying. I’ve lived in San Luis Obispo, ca my whole life and never knew about this ordinance! But it doesn’t surprise me. There are very stuffy uptight people in this co. . . Lol! This recipe looks awesome. These ingredients look like I could reuse my bowls or double boiler for cooking after, right? I know with soap it’s only for soap. . . . Yes, you can totally reuse your equipment. And actually, in many cases you can with soap making tools, too. More info in my post on soap making myths. That is crazy about San Luis Obispo! Love the random facts. It is so funny – I just thought of grinding the mag flakes up in my coffee grinder last night to add to my deodorant! Glad to know it works! What about using liquid magnesium? How much should I use? Yay! This looks great and easy! Thanks so much for sharing! Hey there! I love your blog and it has helped me through being a first time mama(: I had a few questions for you! My boy is 17 months and im worried about the fact that he still prefers to be mostly breastfed. We are doing the babyled weaning process, I always offer him foods but he mostly plays with it. Though he does eat any kind of meat, and he will drink smoothies with greens, fruits, healthy fats, cod liver oil, probiotics..
Another topic, ever since I got pregnant I have had swollen, red gums…I use Redmond clay toothpaste and even use activated charcoal…do you think since im still breastfeeding and maybe my hormones are out of whack thats causing it? Thank you!!!!! I hope to hear from you! Hi Maeghan, when my first child was around 14-15 months old she was still getting most of her nutrients from breast milk. She ate some, but mostly played with her food. Anyway, I remember being a little concerned about this and deciding to read up. After researching and talking with other moms, I felt comfortable with letting her take the lead and just continued to offer solids at meal time. I don’t remember when it was but she did continue to eat more over time and it all worked out fine. She was definitely well-nourished and is a very adventurous eater now. Though I can’t say what you should do, I hope maybe sharing my experience will help in some small way. If you suspect that there might be an underlying issue I would definitely take her in to get checked out, but I personally think that it can be perfectly normal. Dry brushing your gums lightly in a circular motion is a great way to fight off gum disease. Also I have a crown that was not put in right and the guns were irritated and inflamed…I put a little tea tree oil on there and it worked out great. Good luck! I totally relate! My son is 18mo and I felt the same! Some days he eats very well but other days he resorts to the breast all day long! My husband jokes that he is going to drain me! Thank you for bringing this up, and thank you Heather for sharing your experience with all of us! I breastfed mine for 2 years. I started the weaning process 3 months in advance. This allow me to take my time and allowed the baby to adjust to the change. I also shorten the length of the breast feeding session and eliminated on demand breast feeding. I breast fed once in the morning. Replaced the afternoon breast feeding with solid foods, healthy snacks and liquids. Later on in the day I would breastfeed before the baby would take a nap. Then offer solid foods and liquids for dinner. Be sure to give lots of hugs and kisses. It’s o.k. to say no to the baby. I could’ve sworn this started with “My boy is 17 yo…” which makes for a much more humorous post! I write you so much I feel like we are pals! 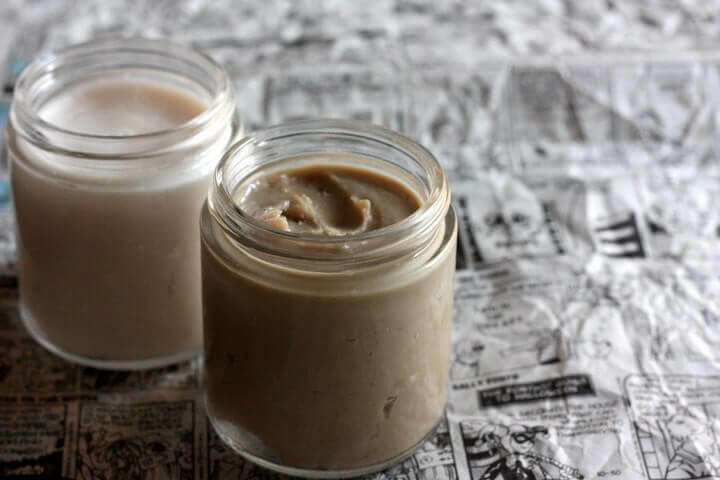 So is this recipe more effective than your other sensitive skin deodorant that uses arrowroot powder, or are you just offering another sensitive skin deo option? I have all the ingredients so I am interested in making this asap! I made a homemade one with little baking soda but after three weeks, my pits have once again reacted and I have a rash! Bummer. I am interested in trying this! I don’t have magnesium flakes at this time. Can I make this recipe without it? I really want to make deodorant today, and I want a solid version. I’ll order magnesium flakes going forward, but I’m looking for a “right now” recipe because I actually have time blocked out specifically for making deodorant today and that won’t happen again for me for several weeks. Thanks! Did you manage ok with out the magnesium? This is excellent. Thanks so much for posting this. 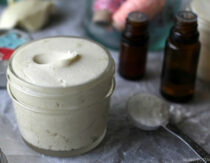 I love the idea of a natural deodorant and this recipe may have finally pushed me to take the plunge. Wow this is so cool. I never knew I could refill my bought natural deodorant container. Super! I am so lazy right now. Does anyone MAKE this to sell? I would buy it! I have tried every recipe and after a while I start to smell a little funky. Most recently I tried ozone layer deodorant, a very interesting concept. Thoughts? Have you tried straight unflavored Milk of Magnesia? It works like a charm for me, but like Mommypotamus said, you have to apply it with your fingertips. A bottle lasts for like 6 months, tho, and I can add water when it starts to get super thick and stick to the sides and keep on using it for even longer. I made this last night, thank you very much for this easy, effective recipe. I didn’t have cocoa butter, so I used more shea. I added tea tree and lavender. It works pretty good at keeping you smelling fresh. I can’t use baking soda, I get a rash. Happy there’s this alternative. Thank you. This is a really nice sounding recipe. I was always a bit sceptical about baking soda in DIY deodorants so this seems to be a great alternative. I am looking forward to making it! I love your blog and I’m totally obsessed with it! I’m making this deodorant for myself and for my sister in law who has very sensitive skin and I was wondering if it expires? I don’t have cocoa butter. Would it work to double then shea butter? I made this today with the bentonite clay, since that’s what I had on hand. I LOVE the end result, but have a few questions…To avoid exposure to hormone disrupters that leach out of heated plastic, I chose a small mason jar as my container. I’d prefer a roll-on container; does anyone has suggestions for one that is non-plastic? Also, since bentonite clay can’t be stirred with anything metal, and the mixture required constant stirring during cooling to avoid separation, I resorted to a plastic knife for stirring… again, hormone disrupters probably leaching into my product 🙁 Does anyone know if wooden popsicle sticks are made without chemicals? Or does anyone else have suggestions for another non-toxic, non-metal small stirring utensil that would work for small batches like this one? Thanks in advance, and thanks Heather for sharing this great recipe!! Silicone spatulas would work for the utensil to stir the clay. Bamboo! Find somewhere that sells bamboo spoons. Pretty cheap and safe! I have a small Pampered Chef spoon I use just for such things! I actually use the chopsticks that come free with our Chinese food delivery orders. They work great for stirring just about everything! I have a home business making soaps, lotions, and various natural body products, and I use those cheap bamboo skewers you can buy in a big bag for next to nothing to stir all my lotions! They work great and won’t leach anything into your final product. Great suggestion! I was wondering how to substitute magnesium oil for the magnesium flakes (magnesium chloride powder) in this recipe. Would I need to decrease the liquid a little? Also, is the amount of Bentonite clay or diatomaceous earth completely interchangeable in this recipe? Thank you very much. I enjoy reading your information! Others may have a different experience, but I would say it is best to use the powdered flakes. Magnesium oil is not oil. It is the flakes dissolved, at a high concentration, in water. And oil and water do not mix. When trying to use the MO, you will find that your finished product is hit or miss. Most often after a time, you will find the MO weeping from your product. Also, there are no preservative ingredient in this product (it’s not needed) any introduction of liquid leads to potential issue. I sell my products so I have to be careful with preparation. Any introduction of liquid to an anyhydrous product opens the door for mold. Sorry to be so verbose, but one thing to consider with Bentonite clay is color. Bentonite is gray in color, that has the potential to stain clothes. You may want to consider a white kaolin clay. It works well. They are interchangeable and you can even mix and match if you feel like it. This is a great recipe. Try it as is and then experiment. I use arrowroot powder, with kaolin clay AND DE. I think they each add something, but it is not necessary. Hope that helps. I have been trying unsuccessfully to make a solid deodorant using MO in addition to the EO’s, melted Beeswax and using Arrowroot Flour… I keep finding that when the ready made MO gets heated it turns into a rubbery eraser like consistency and when I try to apply as a solid, it breaks off in little chunks. Have I converted it back to its crystal solid state by heating? Lee, would you mind sharing the ratios you’re using for the DE, arrowroot powder and kaolin? It sounds like you have it down! Thank you! I have the clay paste instead of powder, can I use that? Would the portions be different? Also, can I use a little coconut oil instead of cocoa butter and just increase the Shea butter to keep it firm? Do you have any idea why my Magnesium Chloride will not melt? I ground it to a powder as fine as I could get it, and there are still tiny little lumps in the finished product. I don’t know yet if it is going to work the same or not yet, as it is still cooling. I would like this to be answered as well. I saw it posted twice and it has never received a response. Could I use Epsom salts instead of magnesium chloride? I know there is a slight chemical difference, but would they serve the same purpose? Also a question not related to the deodorant–I want to try making the coconut oil soap, but don’t want such a large batch. Can I divide each ingredient in half and get the same outcome? Has anyone tried this? Thank you for this informational blog; it is so helpful! Epsom salts aren’t absorbed into the skin like Mag Chloride. It’s much more beneficial to use the latter. Can the DE be too abrasive for sensitive underarm skin? I understand that on a microscopic level, it is very sharp. Could that potentially damage the epidermal layer? Also, I smelled like sweat all day since the product does not really neutralize the odors. it was a cold day but still I smelled of sweat. So overall, I disliked this product and would not recommend it. 1. Can I use she’s butter instead of cocoa butter?…I don’t have any cocoa butter. 2. Magnesium flakes grinding…seriously…just in coffee grinder…no special cleaning after? Thanks! I’ve tried about 4 diff deo recipes from diff sites…In desperate. Also…breast cancer runs in my family bad…I will not go back to reg deo. I just made this and ended up with sludge at the bottom of my double boiler that appears to be undissolved magnesium. I kept heating past the point of the other ingredients melting for a good 15 – 20 minutes. My final product only filled up half of my deodorant tube, so I think almost none of the magnesium dissolved. Any ideas what I did wrong? I purchased the flakes through your link and ground them in a mortar & pestle. I did not grind to a super fine powder, so I’m wondering if it needs to be finely ground in order to dissolve. I also measured by weight when you provided that info. Hi Ryan, magnesium is water soluble but unfortunately does not dissolve in oil. In this recipe it needs to be finely ground so that it is suspended throughout the mixture. I ground my magnesium in a coffee grinder so it is very fine but still crystalizes and gathers atthe bottom of the solution. The result is like hard crystals rubbing underarm which hurts. Any suggestion? Could it be shea butter thats not creamy or just the magnesium? The first time the deo was warmer and the second time I let it cool almost too long but got the same result. Can the flakes be replaced with Magnesium Oil? Hi, have you tried powdered MG Hydroxide or Orotate instead? Or would it be a waste to buy? Hi! 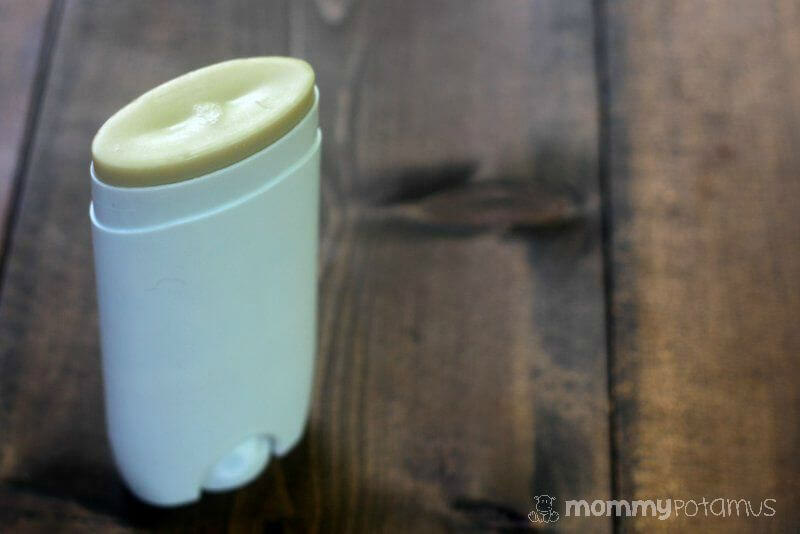 I love this recipe, it works well, smells awesome, and works in the deodorant tube. How do you keep the magnesium from clumping? I constantly mix it and it seems seems to lum at the bottom. I love having magnesium in my deo. I sell it in many of my products. The key with the magnesium for me is to make sure it is ground fine and to allow the deo mixture to cool slightly. Essentially, you are going for suspension. If the mixture is too liquid, the powder will sink to the bottom. If it is cooled and beginning to thicken a bit, the powder will suspend through the mixture. It also helps to premix it with a some oil first and then add it. Give it a try. I hope you will find it worth it. does this keep you dry? as well as controlling odor? Unfortunately this recipe does not work for me … the odor is coming back 2-3 hours after using it … 🙁 And I normally do not sweat a lot. I followed the recipe word to word and the deodorant came out really nice and smooth. The problem is it does not work well for me – already after 2-3 hours I start smelling again … Any idea how to make it more effective? Adding baking soda is out of question as I am sensitive to it (learned the hard way). I realize this comment is several months late, but maybe someone will find it helpful. I’ve found if I spray apple cider vinegar on my pits before showering, I don’t sweat or smell nearly as much throughout the day, and with the natural deo there is no smell at all. Hope that helps! I’ve been using milk of magnesia as a deodorant for four years. I work out daily and I’m never smelly. Now, it’s definitely not an anti-perspirant but I wouldn’t want that anyway. I apply it with a cotton pad (Delon). It also does not leave any white stain on clothing. And it’s certainly inexpensive. My baby boy will be 56 in July. One of the best experiences of my life was 9-1/2 months of breast feeding Mark. No food, just mommy and liquid vitamins. It certainly worked well. He’s healthy and gorgeous. Would this work as a cream? I prefer cream style but am not sure whether this recipe is only for the solid texture. it should! just leave out the beeswax! I’m not sure that the magnesium will absorb unless it’s dissolved. I tried doing some searching online, and all applications I found required that it be dissolved in water. I have been making deodorant with magnesium oil and haven’t had any problems yet. However, I may end up just removing it from my deodorant and spraying it on my arm pits before applying my deodorant. I have your book and am very grateful, so wonderful to have go -to recipes! Oddly, I doubled this recipe twice (actually the stick deodorant with baking soda) and only came out with 3 tubes of deodorant. I bought the deodorant tubes on Amazon– https://www.amazon.com/DMtse-Deodorant-Containers-Empty-Pack/dp/B00CMF4CIM?ie=UTF8&psc=1&redirect=true&ref_=oh_aui_detailpage_o06_s00 <– maybe they are much larger than the ones you use? Secondly, and most importantly, I can't get the deodorant to come up when I twist the bottom. I've tried putting them in the fridge, then it's way too hard, then letting them sit out, even outside for a bit, but it's too soft. Any tips or tricks? I have the same problem: I tried the stick recipe with baking soda, but it’s too soft to apply in stick form. I hope we can figure out how to make this work! Some of the things people asked in the comments had to do with odor coming back and using magnesium oil. 1. Odor coming back. Sometimes we need to do more than try to cover up odor. I have been working on my pit smell for a while and found it is a process rather than a quick fix. First start with a good diet and lots of water. Next be sure to move your lymph. There are many lymph glands under the arms. Try this experiment. At the end of a day that you didn’t sweat a lot smell both underarms or your shirt. Are you right handed? Does your left pit smell more? Usually we move more and do more on our dominant side. Lymph is stagnating a bit on the other side. This seems to be correlated to more odor. Try moving your non dominant arm more and moving lymph evenly. Also if you are magnesium deficient you may have more odor so taking magnesium internally and applying magnesium oil topically can help lower the odor factor. In fact for years I’ve sprayed my armpits with a light spray of magnesium oil and that works well as deodorant. Just wipe any excess off as it can stain clothing. (I only had that problem once and since then I spray lightly and blot excess) If you have magnesium oil you can add a few drops of essential oil and use that until you get the magnesium flakes to make this recipe. Also I bought a really good deodorant paste that uses Magnesium Hydroxide in powder form that works great. I don’t have magnesium hydroxide but I do have ancient minerals magnesium chloride as call for in this recipe. I can’t wait to try this recipe to see if it works and feels better than my deodorant paste. Body odor probably is more easily controlled by keeping your body clean and detoxed inside and out. Hi there! I made this recipe yesterday, and tried it out. It doesn’t last me all day, but I tried it again this morning at about 9:00 am, and it’s now 3:30pm, and no odor, so far so good!! I’ll keep you posted. Thanks so much for the recipe!? Is it possible to use soy wax in deodorant instead of beeswax? Thanks for your wonderful recipes and posts. Really love it all. 1. Does the powdered magnesium incorporate well in the recipe? I felt last time it didn’t mix well in oils last time I tried, perhaps I made a mistake…would you recommend that it’s used as magnesium oil. I usually make my own with distilled water and MgCl. 2. Do you recommend diatomaceous earth over kaolin clay? Just worried about any yellowing of the clothes and want to avoid it. I made the solid deodorant last night with the magnesium chloride flakes, which I blended in my bullet. It was about the consistency of course salt. I thought the Mg would melt when melting the other oils and butters, but it didn’t seem to. When I poured it into my stick container there were Mg crystals left at the bottom. I fear not enough Mg made it into my deodorant. Should I have pulverized in the bullet longer? I am going to make it and am hunting for ingredients in the UK right now. Do you know what the shelf life is please? Hi, I just made this and was wondering if it’s normal for it to get clumpy when filling the containers? I stirred for a while and let it cool for a little bit before filling them, but it’s like the magnesium didn’t dissolve (I blended it into a powder like you said). I did six time this batch though. Hello! I keep reading that the magnesium needs to be dissolved in water = magnesium oil. Does the powder make it gritty and/or rough? Is it safe to grind them in a coffee grinder? What kind of coffee grinder do you have? I keep reading it is flammable and everything. I am having a hard time with your recipe. I have tried it twice, but haven’t been able to get everything to blend right. When I put all the ingredients in the double boiler, I melt them all. After, I wait 2 minutes to transfer, however, every time I do the ingredients separate and I end up with mushy wax that won’t really work as a solid in a stick. Can you provide more detailed instructions? How do I know when I can put the ingredients in the stick so that they won’t separate? Please help. Tried this recipe and like others the magnesium didn’t dissolve also this doesn’t fight the smell like I hoped. I previously made the man-stink killer cream version and it worked well for about a month and then I think my body became accustomed to it and it started to be ineffective. I was hoping for a less messy recipe that would go on from a solid stick, so I thought I’d give this recipe a try. Does anyone have suggestions for getting the magnesium to incorporate better? Also, do I just need to detox my pits? Does anyone else still smell after a hard day of work? Hi! I made this recipe a couple of days ago, excluded the mag. flakes. I used the “oz” measure instead of Tbsp. Because my beeswax comes in a block so I couldn’t really measure it in Tbsp., anyway, I LOVE how to hardened & doesn’t smear off in globs when you glide it over your armpits. The only problem I have is that it felt “tacky/sticky” on my underarms, instead of absorbing in. could I have done something wrong? I used .5oz. Beeswax, 1 oz. Shea, .4oz. Coco butter, 1/2 Tbsp. Kaolin & 1/2 Tbsp bentonite clay. Excited to try the deodorant recipe! I have a tub of mango butter, can I use that in place of the cocoa butter? I’m pretty sure it will. Shea and mango butter are pretty similar in consistency, while cocoa butter is much harder and won’t blend in this recipe without the addition of another oil. Please let me know how it works out! Hi, would I be able to add arrowroot powder to this recipe without removing any of the other ingredients? If so, do you know much I would use and how I go about adding it in? Thanks! Hi, Heather! Thanks so much for this recipe. I’m looking forward to trying it. Is it safe to add essential oils to this recipe and then put it in a plastic container? I’ve read before that you shouldn’t mix EOs and plastic, but I’m wondering if it is fine in the this case since the product hardens. I really appreciate your help. If I’m using pellets for the beeswax, cocoa butter etc, would I still use the measurements you’ve given or slightly less considering flakes probably weigh a lot less? So the first time I made this recipe, I accidentally used Magnesium Oxide instead of Magnesium Chloride. The crazy thing is that I like it even more with the Magnesium Oxide…. it has a smoother consistency. Are you aware of any issues in using this other version of Magnesium? Quick question. If using a premade solution of magnesium (I use EASE which is just the magnesium mixed in water, I saw that you recommended one teaspoon), would you need to add in an additional binder to mix the water element to the butters and oils? Also, would I then need to add a preservative since there’s a water element? If I want to have more magnesium in my recipe since that’s the active ingredient, how would you recommend adjusting the other ingredients? When I looked up Kaolin clay online it says it is basically aluminum. Is this true? 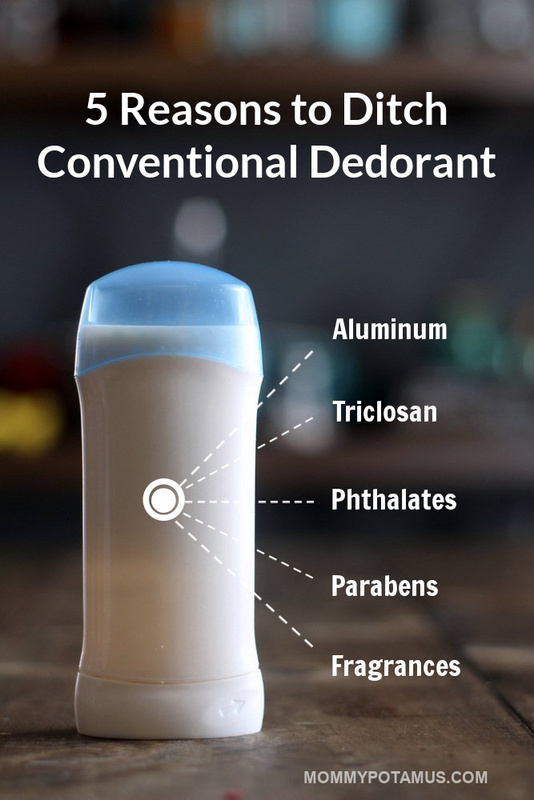 Been staying away from commercial deodorants with aluminum. Hi, thanks for the recipe, I want to give it a go, but don’t have shea butter, cocoa or mango butters. Is it ok to omit these? Should I replace them with something else? I used baking soda instead of the magnesium ( providing of course I did an armpit detox a few times prior). It worked great and I also substituted coconut oil for shea because I ran out. Stick is solid and works great ! I used Himalayan Salt and it worked nicely. I like that the H. Salt has the essential oils incorporated (bergamot & sweet orange) already. Do you think I could make this deodorant with tallow instead of the cocoa butter or shea butter? I have used diatomaceous earth and it has gone a brown colour. Will use it tomorrow. Hi! Do you think I could just add in some dried lavender to the melted oils instead of using essential oils? Could I also throw in some dried calendula? Would it then be best to strain them out of the oil, or could I leave them in the deodorant? It’s just that I have the dried herbs on hand whereas I’d have to buy EO. Thanks! Hi, thanks for the recipe! I’m excited to transition to using natural deodorant! I followed the recipe and found the day after that the bottom of the stick has liquid and the top is cracking it’s so dry…. what might I have done wrong? Thanks for your help! Hello Heather! I would like to try your recipe, it sounds easy to make! I just wanted to ask you, what do you think of the Humble brand deodorant? I have been using it almost for a year. I’ve never tried it but the ingredients look good. Hi! My name is Zinia. I’m from Greece and my English are no so fluent … any way please have patience with me. Beacause I found that 0,5 ounces = 14,17gr. But I know that 1tbs=15gr. and you say 2tbs=30gr. And how 2 rounded tbs are only 0,4 ounces since you say 2tbs = 0,5 ounces. Probably something I can not understand, which all of you can. Or something is wrong. So Please help me understand or if you can explain to me in grams. I’ m looking forward to try your recipe. What is the dilution rate of magnesium hydroxide please? Can add few drops of essential oil or fragrance if desired. I have been using it close to 10years as the only option and no, it doesn’t dry skin or have any other negative effect. I heard rubbing alcohol 70% can be used, but long term might not be desirable. Is there an alternative for chloride powder. form the resurch ive done it has aluminum in it witch is not goos for your skin at all and can clog your sweat glands potentially making you sweat more… help please!! Hi Heather, I want to ask you if I could use shea and cocoa mixture? Would it make a difference, I am new to this….